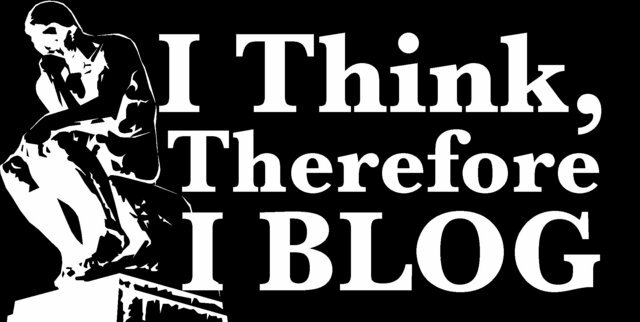 I know what you're thinking: How on earth would I be able to read, let alone rank, 100 blogs? The answer is simple: I have a METHODOLOGY!... and it's about as scientific as a model used to work out the value of a junk-bond backed CLO. Yes, I've taken something completely subjective and added a spurious quantitative element to it. Given that this is standard practice in the financial industry, there should be no problem. Each recommendation from these lists counted as a Round 1 Vote. I got 25 from Time, 6 from MarketWatch, 21 from CNBC (this list actually had 18 main suggestions, but mentions 3 others), and 13 from Downtown Josh Brown (his list has 5 major recommendations, but a series of secondary recommendations too). That gives us 55 initial votes from pundits who were prepared to put their reputation on the line. I decided that if a blog received two votes or more from Round 1, that blogger was then eligible to vote too. How would they do that? 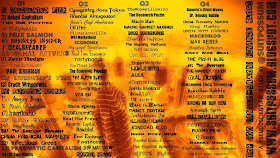 Simple - I used their blogroll as a proxy: A blogroll is a list of blogs recommended by a blogger, an implicit vote of confidence if ever there was one. The top blogs emerging from Round 1 were Business Insider (Joe Weisenthal), Calculated Risk (Bill McBride), Dealbreaker (Bess Levin), The Big Picture (Barry Ritholz), Pragmatic Capitalism (Cullen Roche), Felix Salmon, Zero Hedge, Abnormal Returns (Tadas Viskanta), FT Alphaville, Naked Capitalism (Yves Smith), Reformed Broker (Josh Brown), and Dealbook. Not all had blogrolls though, but I managed to find 282 blogroll votes from Naked Capitalism, Calculated Risk, The Big Picture, Zero Hedge and FT Alphaville. I used a similar process for Round 3. This time, if a blog had received three or more votes of approval from Round 2 and and Round 1, their blogrolls were eligible to be drawn into the vote pool too. 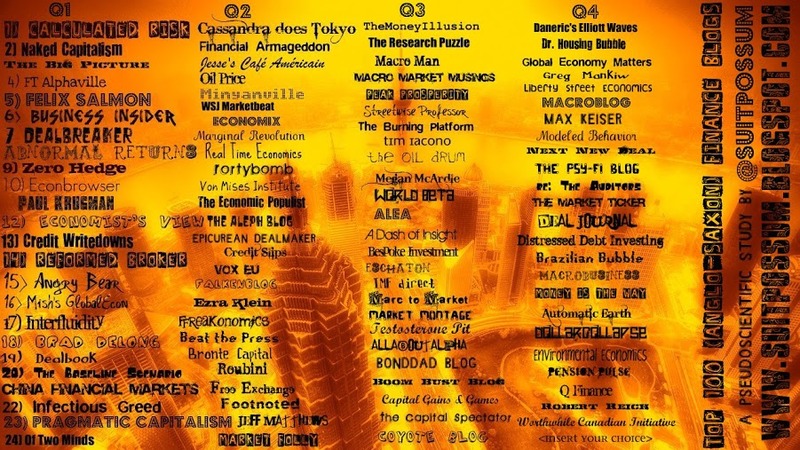 The Up-and-Comers included Brad DeLong, Paul Krugman, Econbrowser, Mish's Global Economic Analysis, Credit Writedowns, The Epicurean Dealmaker, Infectious Greed, The Aleph Blog, Minyanville, MarketBeat, Angry Bear, China Financial Markets, Jesse's Café Américain, Oil Price, The Economic Populist, Cassandra does Tokyo, Economist's View, Interfluidity, and Financial Armageddon. I rounded up the blogrolls of those that had them, and harvested another 1074 votes. To compile the final list, I weighted the votes. The votes from Round 1 were worth 4 points - because they were from explicit 'best of' lists that had been actively created. The votes from Round 2 were worth 2.5 points, because they were from more passive blogrolls, and the votes from Round 3 were worth 1.5 points. These points are somewhat arbitrary, but the results remain roughly similar even when I use slightly different point weightings. Besides, it's my list. So, here it is, split into four quartiles (please note that only the first quartile is ranked in exact order - thus, while Naked Capitalism is No.2, a blog in quartile 3 is somewhere between 50-75. I don't feel the need for spurious accuracy). Jeff Matthews Coyote Blog No.100: Your Choice! So, who is No. 100? That's for you to decide. The list needs to be taken with a pinch of salt, because I've derived it from pre-existing opinions from respected, but comparatively mainstream commentators and their blogrolls. Not only have I assumed that their opinion is valid, but I've also assumed that there is no group-think or systematic bias from well-known bloggers reinforcing each other's positions with reciprocal links. 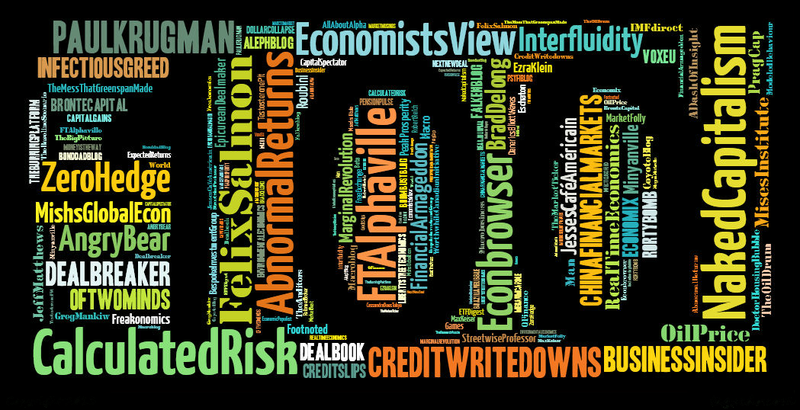 Perhaps we should call the list the "Top 100 mainstream anglo-saxon finance bloggers who have already been discovered". It doesn't include all the cool smaller blogs that don't post as regularly, or who have weirder things to say. That said, I'm very pleased that the deranged rantings of Michael Fowke from Money is the Way got on - his blog is so surreal that many people don't get it, but it really captures something of the absurd hubris of financial institutions. I'd really like to see Ian Fraser's blog on there, and Tim Johnson's Magic, Maths & Money: Both of them got votes in Round 3, but not enough to get on the main list. I'll have to start work on another list of more marginal (and perhaps more subversive) bloggers - please send me any suggestions! By the way, if you want some more good lists of financial blogs, check this huge list here, this one here, and this useful site here. Rather than blogroll listings (which may suggest more about who asks to be included than about overall influence), I would rather see a methodology based upon citations by others. I'm sure that would be difficult, though. Hi Brett. Just came across your excellent blog via falkenblog and hope you don't mind if I link to it at http://fifthestate.co/ - Home Of The Financial Investment And Economic Blogosphere. We curate the worldwide blogosphere daily and it would be an honor to be on your list. Thank you for all your contributions. one of my recent discoveries and I can't get enough! Thanks a lot for sharing the list of financial blogs. These are outstanding. They will help me greatly.